Chelsea are currently in talks with the representatives of Russia star Aleksandr Golovin. The London club have scouted the 22-year old CSKA Moscow player for over a year, reports suggest that Arsenal are also interested in the midfielder. 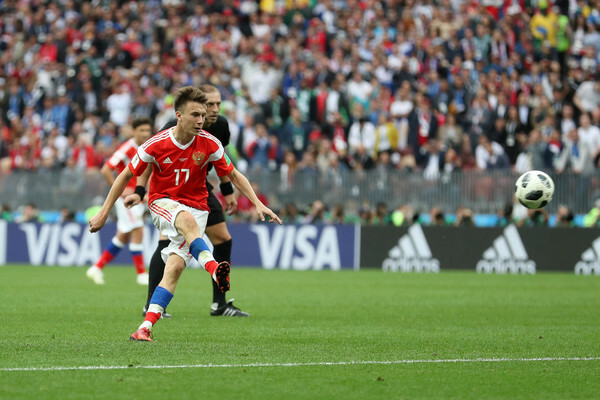 Golovin has been one of the best performers at the 2018 World Cup which has attracted the interest of Europe's top club. Italian Serie A champions Juventus have made an earlier bid for his signature this summer but they failed to meet CSKA'S asking price of £25million. Chelsea have now begun discussion to sign the attacking midfielder as they are set to make a lot of changes during this transfer window. The former Premier League champions are also monitoring Borussia Dortmund midfielder Christian Pulisic, according to the Daily Mail.